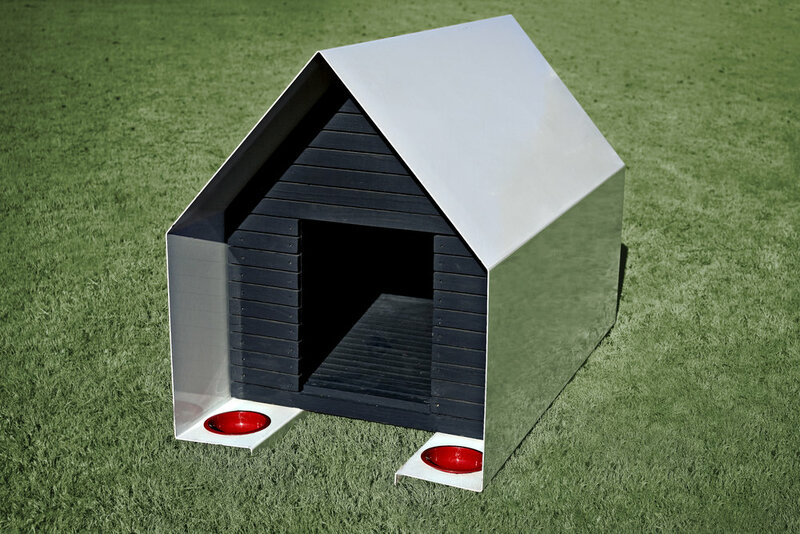 These pup palaces give “being in the doghouse” a whole new meaning. Whether you prefer prefabs, tiny trailers, or Eichler-inspired abodes, these modern shelters will house your dog in style. archimania, an award-winning architecture firm based in Memphis, was inspired by a matchbook when they designed the DOGone House for a rescue charity event. An outer skin of one-fourth-inch folded steel wraps an inner box composed of slatted stained wood, which allows air circulation and views. The steel sheet is finished with durable automotive paint in a light color to reflect sun. The boxes can be separated for easy cleaning. Read the full article on Dwell’s website.